It is hard to believe that school will be starting in a few weeks. August is our slowest month in regards to planned activities, so our routines are all messed up. As a result of our lazy schedule and having two teens in the house, it becomes super challenging to get them up and out for school the first couple of weeks. No to mention when they get home for the day, getting them to focus on their afternoon duties is like pulling teeth. 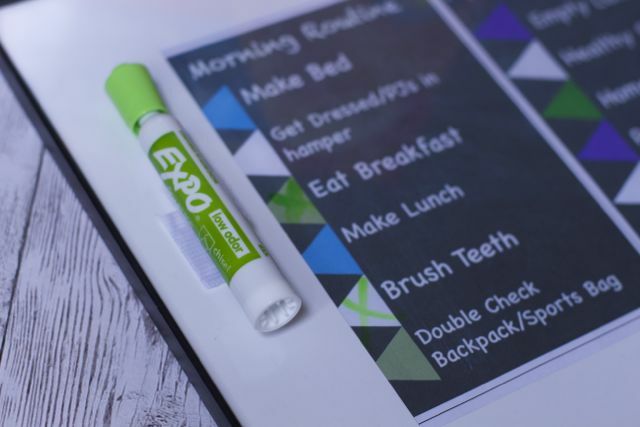 I know that they are tired of hearing me constantly telling them what to do, so this school year, I created a Back to School Routine Checklist that the kids could keep track of. I hope you will find this useful as well, as you settle back into the daily grind of back to school. 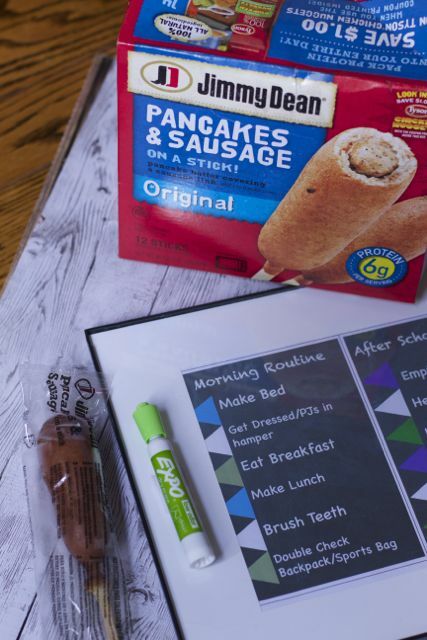 Simply print the summer routine printable and insert it into your frame. 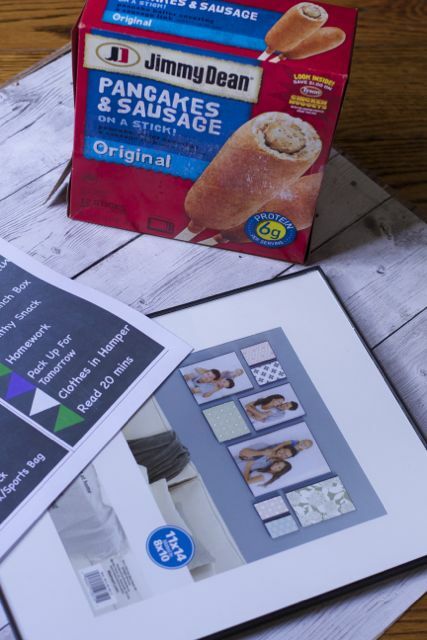 Add a small piece of adhesive Velcro to your frame. 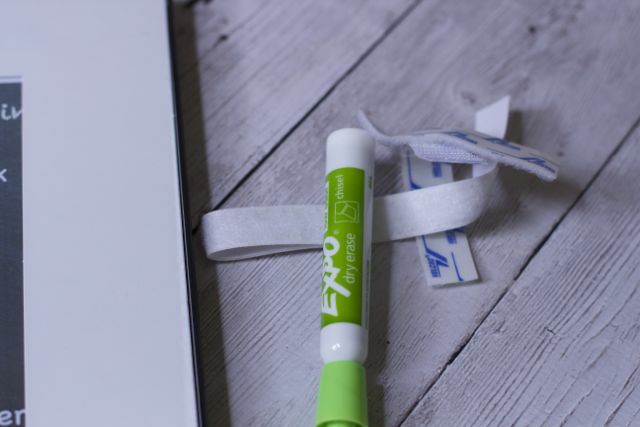 Attach the opposite piece to your pen. As simple as that you have a way for the kids to be reminded of what you expect from them both before and after school and there is less arguing on your side. They can erase the check marks each night or morning with a paper towel. To help your kids accomplish their tasks your freezer can be stocked with the right foods to give them high quality food with little effort. In the morning having food options that are easy for the teens to make themselves as well as portable is not a bad idea. 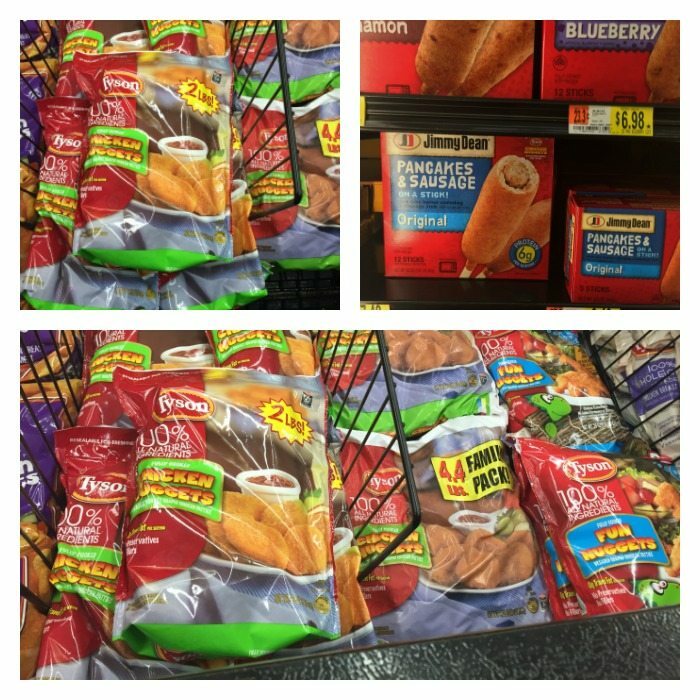 Jimmy Dean® Pancakes & Sausage fit the bill for having the needed protein with the portability of food on a stick. Who said you could not have pancakes and sausage every morning? You can find them in the freezer department at Walmart and come in different flavors, we went with the traditional. My kids come home super hungry after school, especially during sports season. 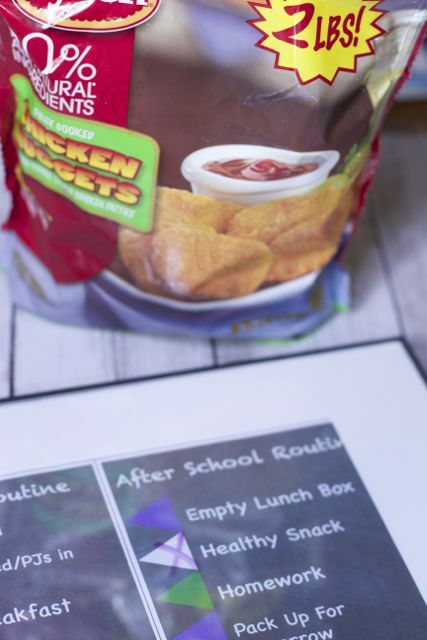 Sometimes they come home to an empty house, so having a super easy snack available like Tyson® Chicken Nuggets in the freezer will make getting focused on homework a breeze. As much as I look forward to having my house back to myself, those first few weeks of getting back into the school routine can be stressful for both the kid and the family. 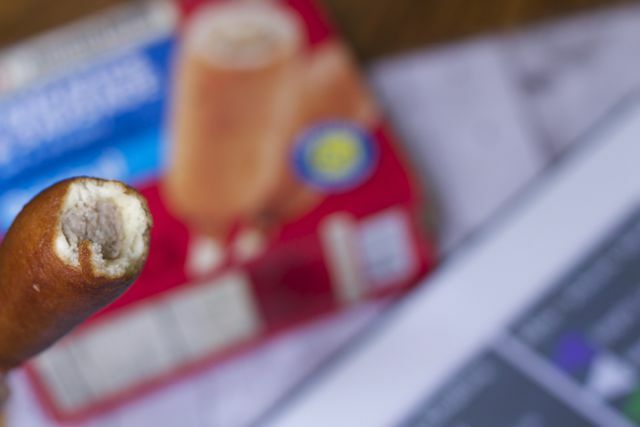 Hopefully by having a stocked freezer, a back to school routine checklist and patience it will go more smoothly. 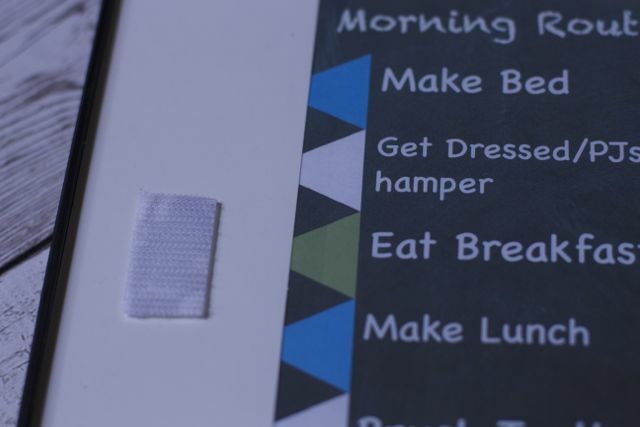 What a great way for kids to track their responsibility! Also, my son loves those pancakes on a stick! 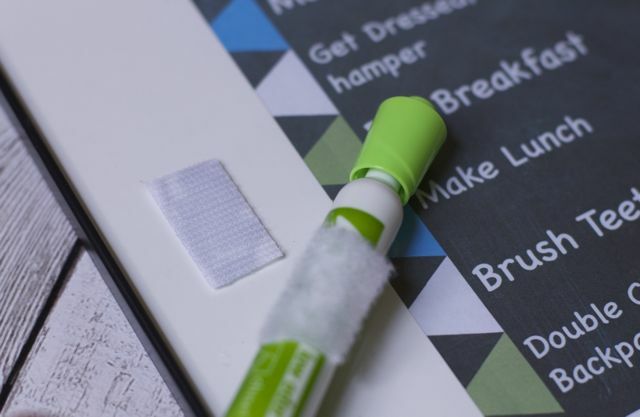 What a cute printable Maria! We’re big fans of Tyson around here so I have to say the pancakes and sausage are the bomb! Well I am way past those “back to school years” however I do remember them well. This is a great list. Funny how much stuff they really need. Love back to school check lists! I can’t believe we need to think about this already! I want to be more organized this year. We buy the tyson nuggets and they come in handy after school. I like the idea of a good routine. It is so crazy that school is already going back. Son has been in band camp for a week and then will be starting school soon. What a great idea! 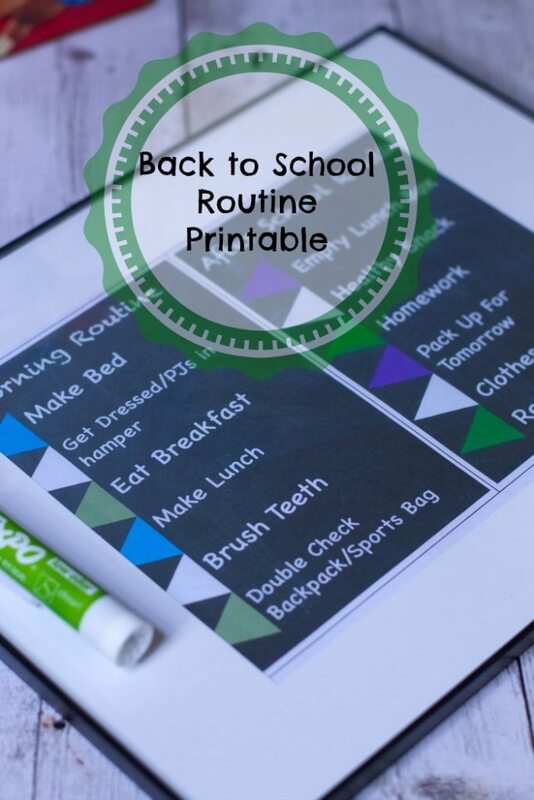 This year I will be homeschooling 4 kids so this would definitely a great way to stay organized!